As daylight saving time took effect in most of the U.S. over the weekend, the Washington House passed a measure that would make those later sunsets permanent in the state all year – if Congress allows it. The legislation passed the chamber on an 89-7 vote and now heads to the Senate, which has its own bill on the topic. The vote comes as more than two dozen states are considering measures to avoid the twice-yearly clock change. Both the Senate and House bills would only take effect if Congress passes legislation allowing states to observe daylight saving time year-round. Currently, it is observed from the second Sunday in March until the first Sunday in November. 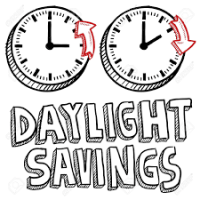 At least 26 states are considering legislation related to the practice of changing clocks twice a year, including the three West Coast states. Federal law allows states to opt into standard time permanently – which Hawaii and Arizona have done – but the reverse is prohibited and requires Congressional action.